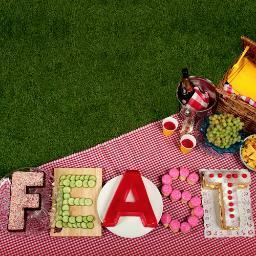 Feast is back! For those who don't know, Feast is a regular celebration of London food, with lots of restaurant chefs and street food in one place over a few days. The dates this time are Thurs 4th - Sunday 7th July and the food includes Hix, When Mac Met Cheese, After Hours, Salt Yard and Bonnie Gull. London’s most exciting and adventurous food event is back. The fourth incarnation of FEAST’S rambunctious round up of London’s top chefs and street food hero’s promises an alternative spin on the traditional village fete. With hot air balloons, hampers and high jinks, the FEAST Village Fete promises to delight the cook and epicure alike. From Coconut shies, bat the rat and tug of war to hot air balloon flights, picnics and strawberries and cream the Summer FEAST promises a unique and memorable day out for all the family. After Hours, Ayam Legend, Background Bars, Bao, Breddos Tacos, Bonnie Gull, Taco Shack, Brindisa, Caravan, Copita, Flat Iron, Fundi Pizza, Hix Fish Dog, Ayam Legend, James Lowe, Kimchinary, Kitchenette, Meringue Girls, Miss Manchu, Mishkin's, Monikers, Moro, Mumma Schnitzel, Patty and Bun, Pomp de Franc, Pig & Butcher, Riparepa, Rum Kitche, Salt Yard, Spuntino, When Mac met cheese, Yum Bun"